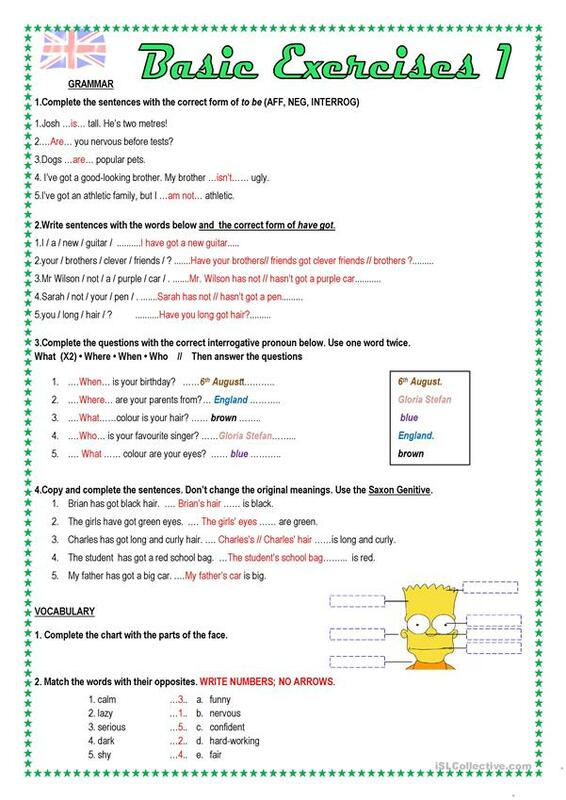 It is a sheet with some easy grammar exercises about verbs be and have got, genotive and Wh questions.This sheet can be used to review grammar and body vocabulary. The above downloadable handout is a great resource for elementary school students at Beginner (pre-A1) and Elementary (A1) level. 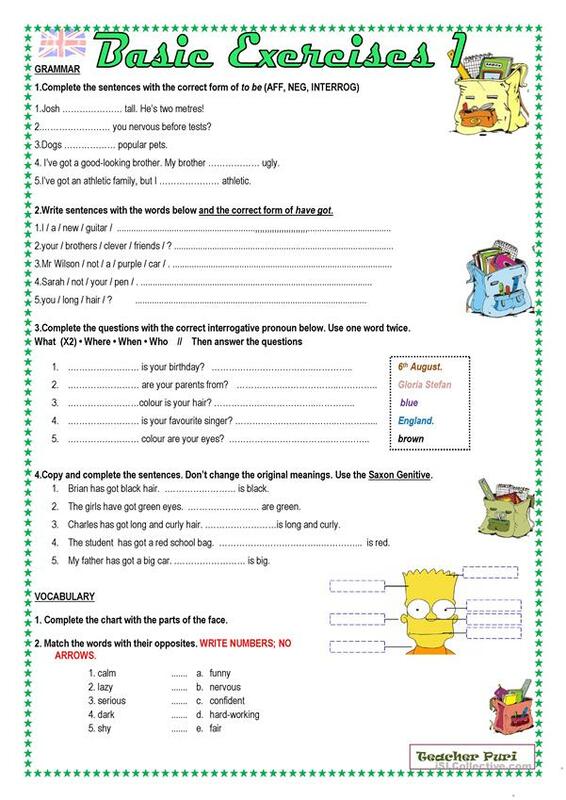 It is valuable for practising HAVE GOT or HAS GOT in English, and was designed for strengthening your class' Spelling, Reading and Writing skills. It features the theme of Body. It includes the answer key, too.